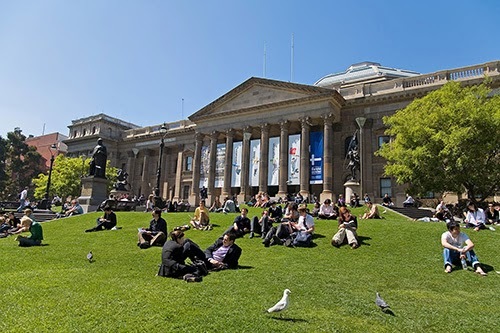 I'll be speaking, well reading, at another event for the SLV Summer Read — this time it's out on the State Library forecourt. I promise an exciting excerpt and perhaps a little, light characterisation — if you've ever wanted to hear what I think Will Harris and Chris Miller sound like then here's your opportunity. I'll be reading from the novel for about 20 minutes and will be available for signings and to chat after. Copies of the novel (and all other 9 Summer Read books) are available through Readings State Library. Further information about the event is available on from the State Library of Victoria.